Walter Crane (1845-1915) was an English artist and book illustrator. He is considered to be the most influential, and among the most prolific, children’s book creator of his generation and, along with Randolph Caldecott and Kate Greenaway, one of the strongest contributors to the child's nursery motif that the genre of English children's illustrated literature would exhibit in its developmental stages in the latter 19th century. 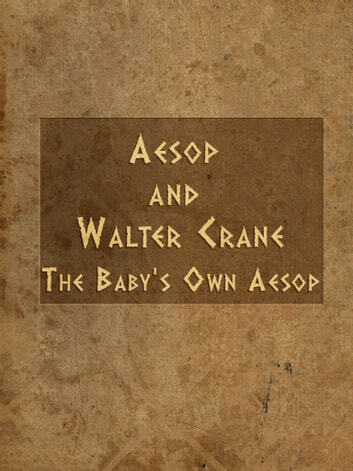 The tales in this version of Aesop's Fables were condensed and converted to rhyme by Walter Crane. Crane's intent was to target the fables at young children. Walter Crane’s beautifully illustrated version of Aesop’s fables, shortened and put into limericks for the younger reader and first published in 1887. 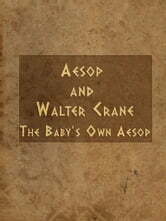 Aesop’s Fables or the Aesopica is a collection of fables credited to Aesop, a slave and story-teller believed to have lived in ancient Greece between 620 and 560 BCE. This is a great variant for your children to make an acquaintance with ancient fables.